While putting in a New Exchange 2010 server today, I test moved a mailbox to this new site, and could not get mail to flow to the Exchange 2010 server at the clients main site. 451 4.4.0 Primary target IP address responded with: “451 5.7.3 Cannot achieve Exchange Server authentication.” Attempted failover to alternate host , but that did not succeed. Either there are no alternative hosts, or delivery failed to all alternative hosts. Mail flowed from the main site to this new site, and internal mail at the new site was fine, but any mail destined for the main site, or going external (because the main site has the only server that can use the Exchange organization send connector) would fail with this error. I did a lot of trawling to try and find the answer to this, and discovered lots of reasons for this to happen, so rather than just posting what fixed mine, from the most popular to the most obscure try these in order, and attempt to send mail after each step. Note: Any change on an Exchange Server’s Receive Connectors should be followed by you restarting the Microsoft Exchange Transport Service (on the server you made the change on) before you try again. 3. If you have Cisco PIX Firewalls between these two mail servers (running version 6 or earlier) make sure smtp fixup is disabled. 4. 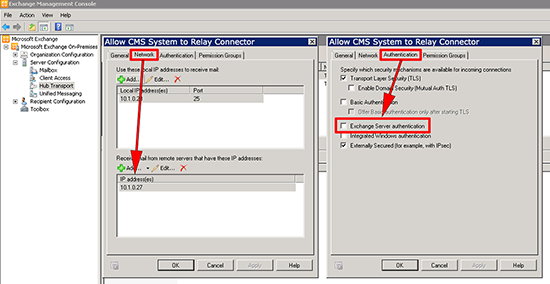 If you have Cisco ASA Firewalls between these two mail servers, then remove esmtp from the default inspection map. I put all the firewalls in, so I know how they are configured, and I know this client has a CSC module in the ASA 5510 at the mail site, I managed to get the output above by rebooting that module, as soon as it was back online we reverted to the short list again. Also while the CSC was rebooting all the mails stuck on the outbound queue cleared. Note: Your class-maps, and access-lists may have different names but this should point you in the right direction. 1. Connect to the ASA, view the policy-maps in use. 2. We can see the class-map the CSC is using is called ‘global-class’, let’s take look at that. 3. Now we know that’s being applied with an access-list called global_mpc, let’s see what that’s doing. 4. So I just need to add in the IP of the Exchange server I cannot send from to make its traffic bypass the CSC Module. Remember to put it at the top so it gets processed before the permit or it will get ignored. 5. Finally save the changes. Thanks to Jeebu Mathew at Microsoft for his assistance, and pointing me in the right direction.